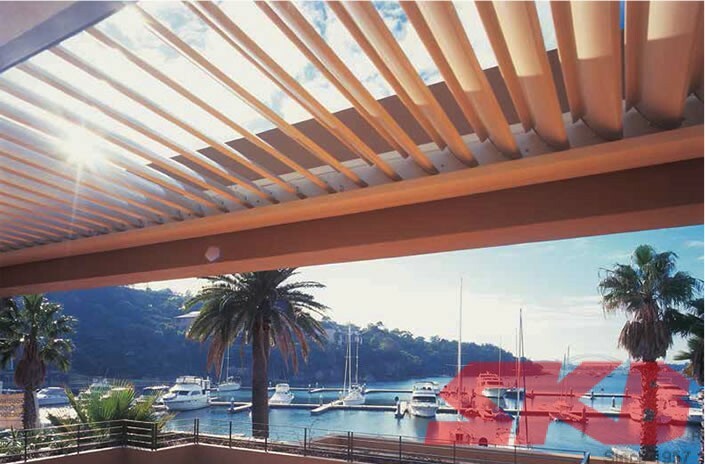 The SKB Vergola is one of the finest designs of fully multipurpose automated sunshade that is suitable for use in residential, commercial and industrial premises. 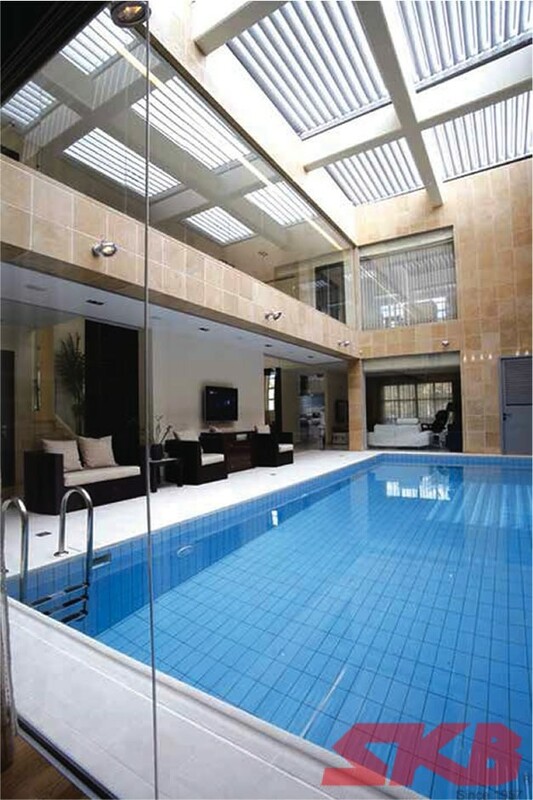 This fully adjustable waterproof louver roof system allows maximum use of outdoor areas. 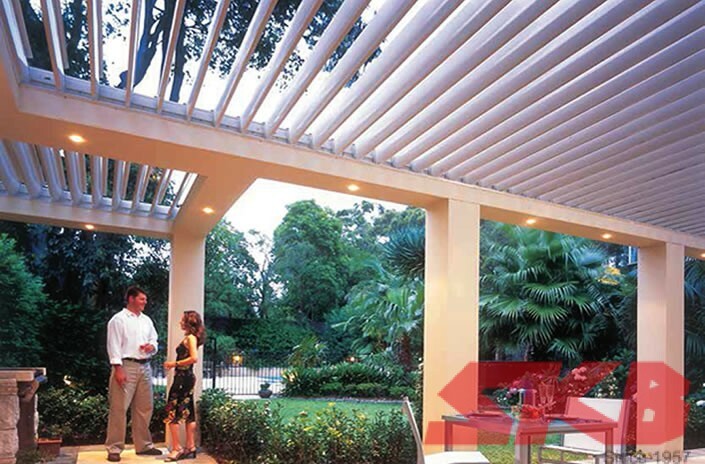 The louver enables you to choose and control the amount of sunlight and shade that suits your purpose. The Vergola is designed originally for the harsh desert climate and has since been recognised for its outstanding attributes especially in tropical countries. Its unique features include fully adjustable louvers to enjoy natural light, full shade or diffused light during the day and interlocking louvers to shut during rain under general weather conditions. The aerofoil design of the louver allows air flow to be controlled in wet and dry weather. Louvers are also popular among residential owners as it is energy efficient and it provides insulation against heat and sound. The state of the art rain sensor automatically closes the louvers when the rain begins to fall which means the outdoor area remains dry. The system will restore the louvers to its preset position when the rain stops. Gutters: Specially designed Vergola gutters fitted along inside perimeter of the framework collect (run-off) water which is discharged into down pipes.